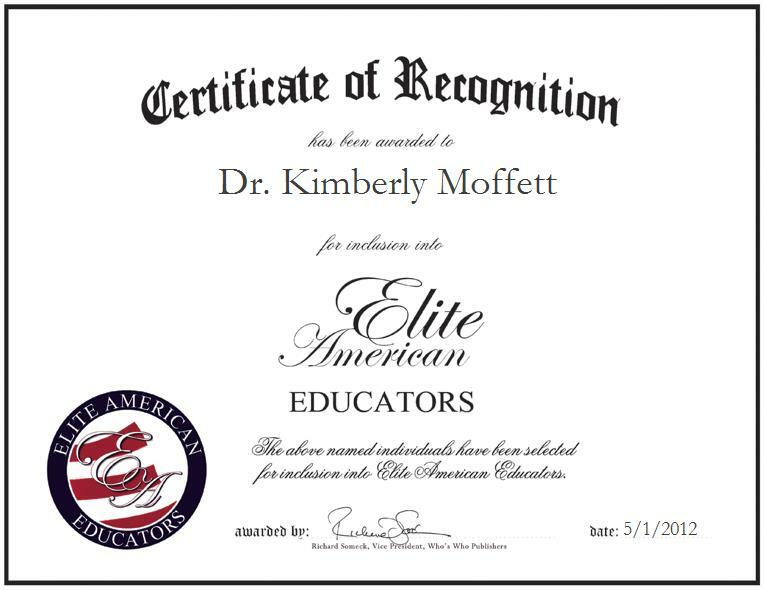 Dr. Kimberly Moffett is an Assistant Professor in the Department of Special Education at Lee University. Her multifaceted experience and sophisticated expertise in teacher education and behavioral analysis enables her to proficiently teach special education, and to train teachers in various school districts in the reinforcement of positive behaviors. She also offers behavioral services and training for the Head Start federal program for pre-kindergarten children. Dr. Moffett is proud to have made a positive impact in the lives of her students. She has received letters from them that she has impacted them. She has also empowered teachers to implement effective behavior programs. Dr. Moffett also feels that her acknowledgment of local school districts and peers that she is effective at what she does in developing and creating behavioral intervention plans, and detecting functions of inappropriate behavior is one of her greatest career achievements to date. She would like to be remembered by her peers as a hard working and caring individual who is devoted to both professors and students.